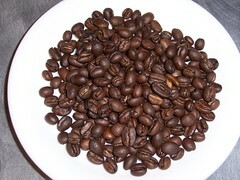 The Press Pot Coffee we’re featuring this week is Brazil Peaberry – Brauna Estate. This new crop won 10th place among over 900 competitors! It has malty-sweet aromatics, and you can taste orange, milk chocolate, grape, and pomeranate in the cup. It’s outstanding!